Innovation and creativity, know-how and dedication, sustainability and a clear vision. These are the core values we stayed faithful to throughout our companies history and made us one of the most successful suppliers for electronic products worldwide. 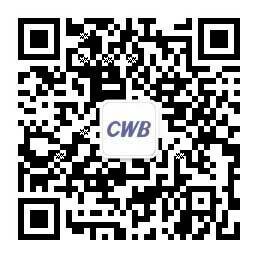 CWB Automotive Electronics Co., Ltd is a specialized manufacturer of automotive electronic components and electronic connectors. Now we are here, as one of the world’s largest suppliers for electronic components. Growth and transformation towards excellence are the result of our guiding principle, the pursuit of perfection. Thanks to our dedicated researchers and efficient workers we can offer high quality products and outstanding service. In a constantly changing world we are a reliable partner for our clients, a steady home for our staff and a trendsetter in the industry. We strive to live up to our good name and continue to be a company that brings innovation and quality to a whole new level. Our mission: CWB is a true partner to its clients, a family for its members and a trendsetter for the industry. Our Vision: Persistently pursue to be the top supplier of the global automotive electronics industry. Core Values: Responsibility, focus, honesty, innovation, passion. Corporate philosophy: Customer satisfaction, win-win cooperation, beyond ourselves. From the very beginning, our goal was to transform CWB into a leading supplier of automotive electronics. Committed to our profession and to meet market requirements, we are striving to outperform technological and scientific standards. Informatization paired with vast experience is creating lasting value. With a focus on peoples wellbeing and a clear understanding of our social responsibility we contribute to a sustainable entrepreneurship.